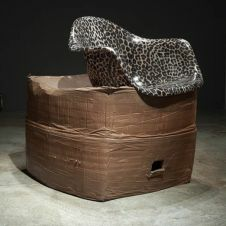 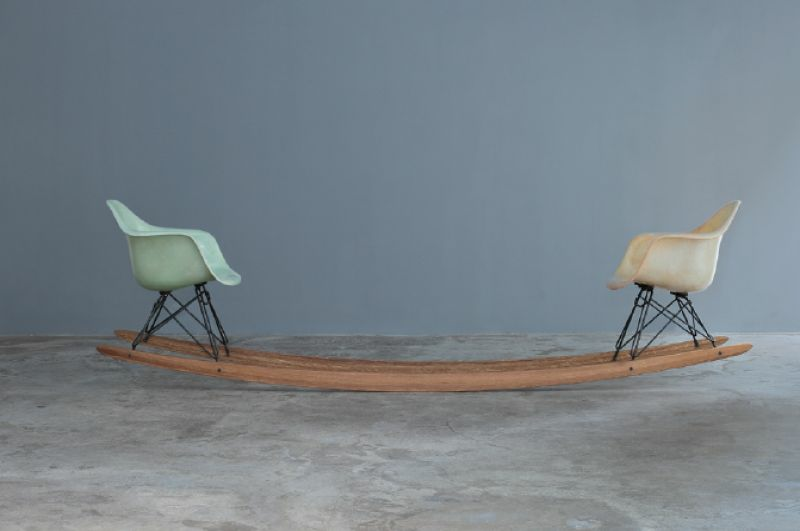 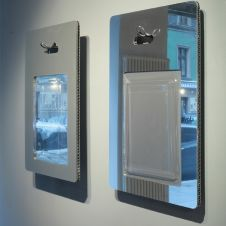 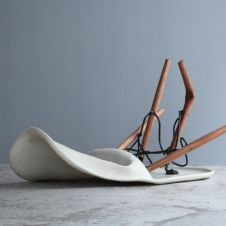 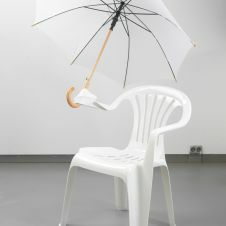 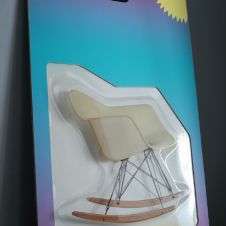 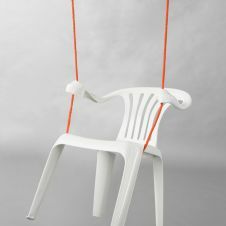 After Bert Löschner had a big success with his destroyed plastic chairs, he decided to make something new, but with the same concept as until now. 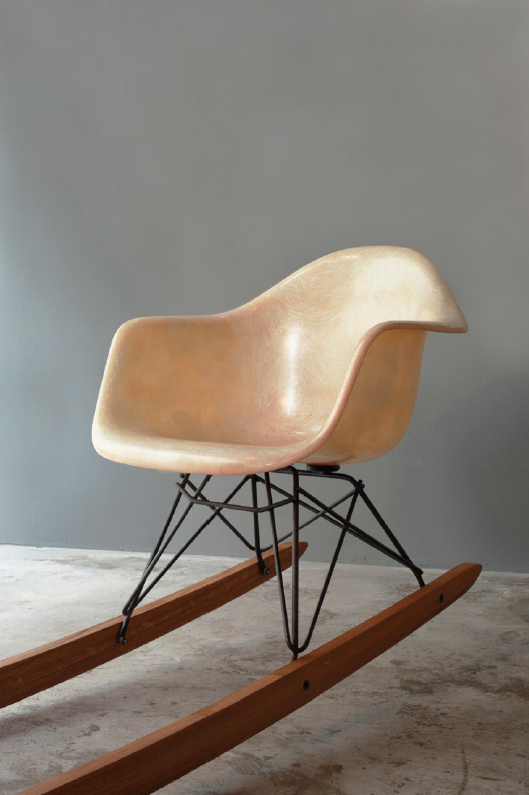 After the experiments with plastic, he tried new materials like wood and metal. 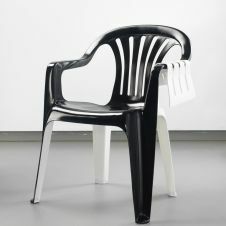 Instead of taking the cheap plastic chairs, he took modern, designer chairs by Vitra. 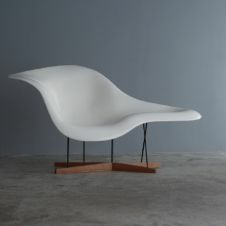 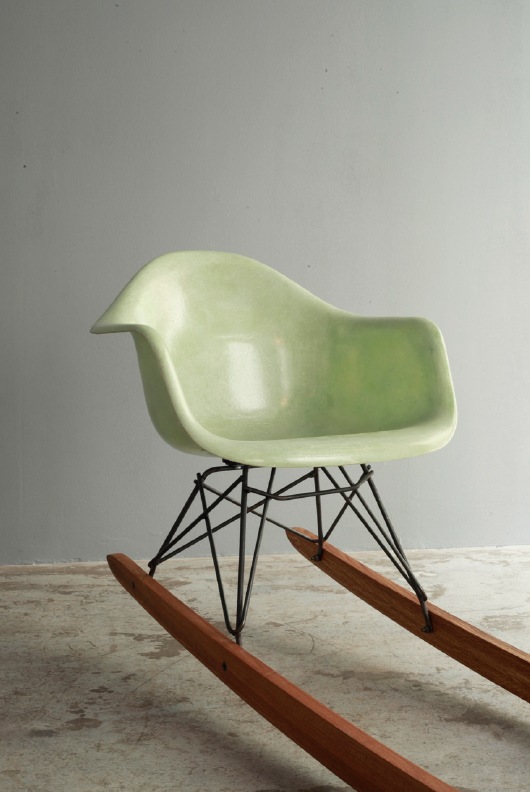 After he deforms the Eames Plastic Armchair DAR, you can still identify the old chair with more or less changes.